Improve the taste of your drinking water with the Watts Premier CT-1 counter top water filtration device. 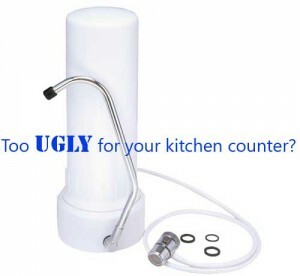 This effective filter system enables you to stop buying expensive bottled water immediately. With the really easy installation, you can enjoy clean water in just a matter of minutes. 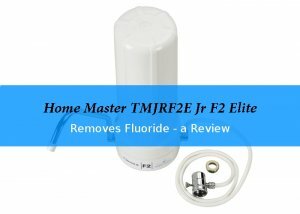 No tools needed and even if you have no DIY experience, you will be able to connect the filter to the faucet without any problems. Instructions on how to attach your Watts Premier counter-top filter are provided with your filter. The included diverter valve enables you to choose if you want the tap water to pass through the filter for purification or use unfiltered water straight from the tap i.e. when you do dishes. The filter housing features an integrated stand to keep it from tipping over and a spout that makes it easy to fill a pitcher or tall glasses. The whole unit needs only a few square inches of your counter space. 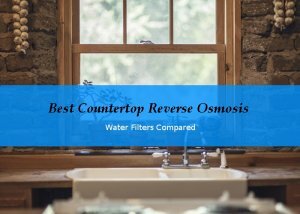 In fact this filter is so small and easy to install, that taking it with you on a weekend trip or producing clean water in your RV is no problem. This water filter contains a coconut-shell carbon block and is built to reduce lead, sand, silt, sediment, rust, chloramine, chlorine taste, and odor. What I like is that you could change the filter medium easily to fit your specific filtration needs as the filter housing will work with all standard 10-inch replacement filter cartridges. For less than 40 Dollar you get a filter that reduces most of the common tap water contaminants. Although this item might never win a design competition, it does what it is supposed to do: Clean water. The Watts Premier CT-1 drinking water filter comes with a one-year limited warranty, which is pretty much standard. On the other hand, the system is build to last and easy to maintain. 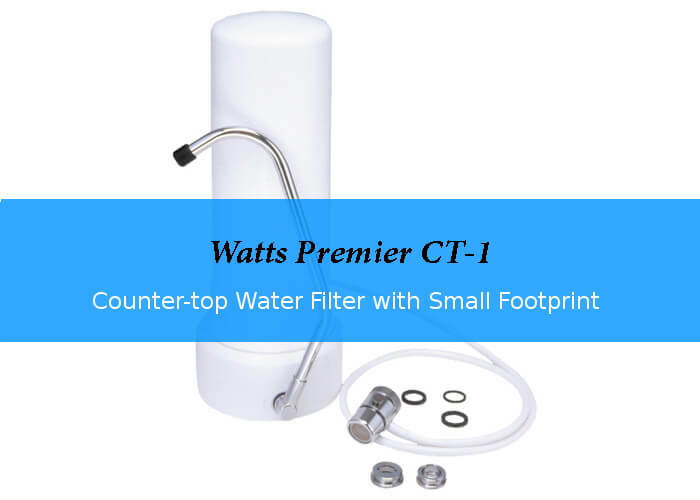 If you are looking for a water filter that is quick to install and takes up just a few square-inches on your counter, the Watts Premier CT-1 Filtration System is ideal for you. Filter, filter housing with countertop stand, spout, diverter valve, tubing for installation, and manual. 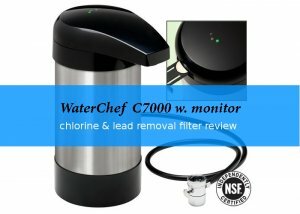 Why buy the WaterChef C7000 System?